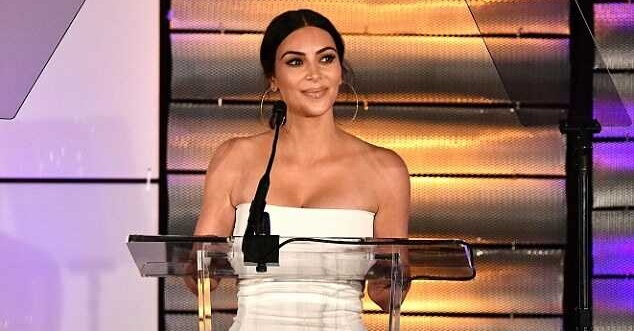 Just in case Kim Kardashian is among the celebrities on your blacklist, you will surely have a second thought because of her latest look. The reality star looked sensational while presenting an award last night at the Family Equality Council’s Impact Awards, wearing a form-fitting white gown that featured side pockets. The gown is by Rick Owens and was accessorized with oversized hoop earring and high heels.